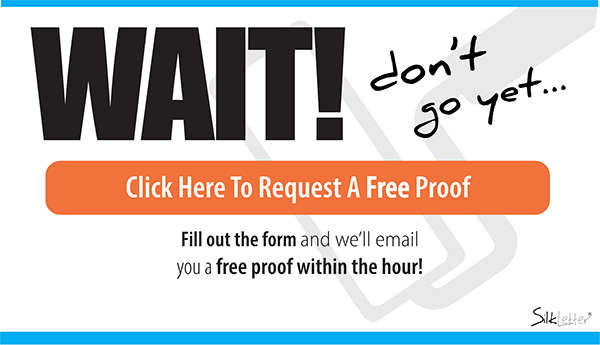 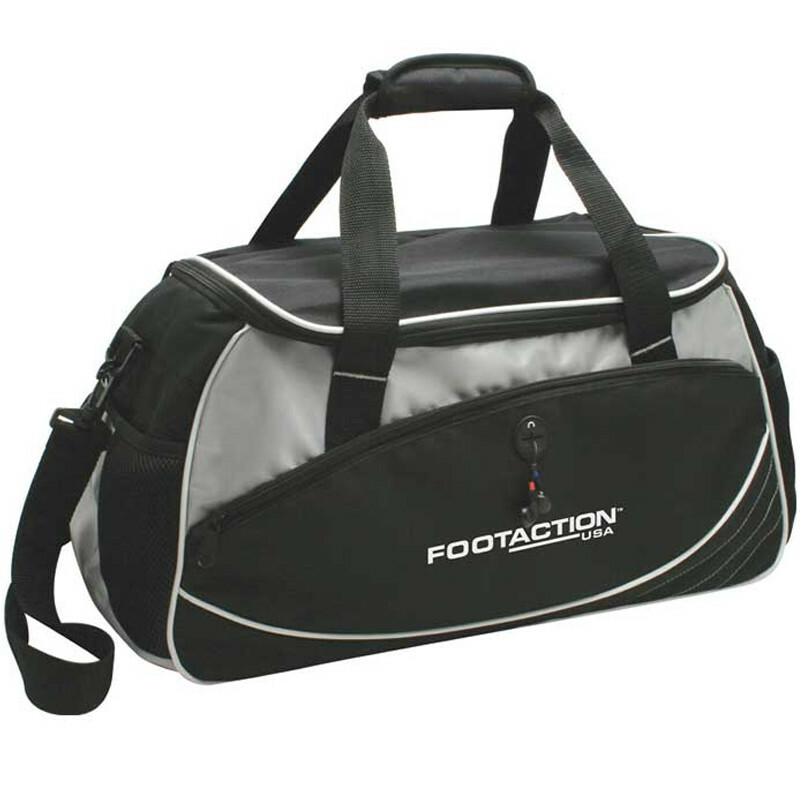 The promotional travel duffel bag is available to be imprinted with a corporate logo, or purchased blank. 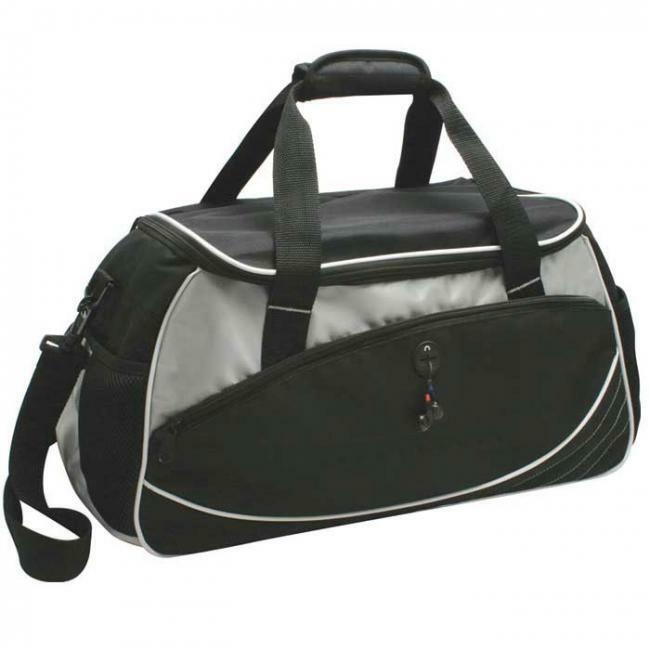 It has a sporty style and can be used to carry most essential items. 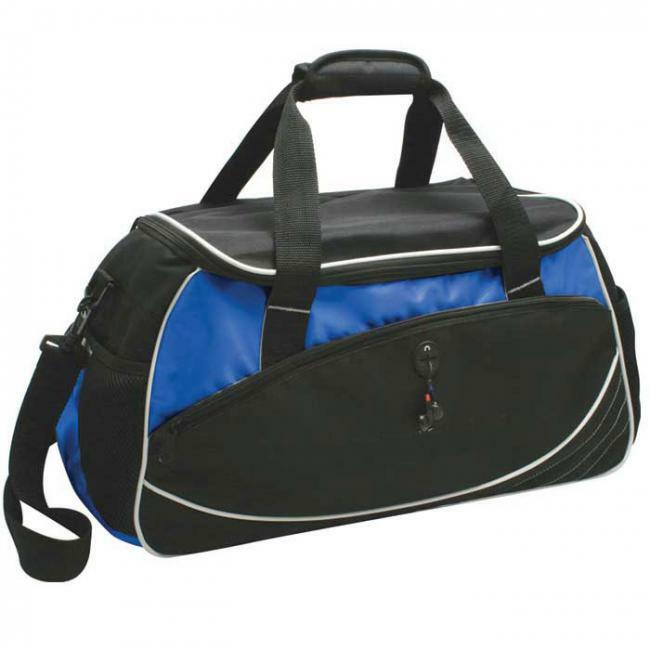 The polyester duffel bag includes an ear phone port and inner pocket to hold an MP3 player. 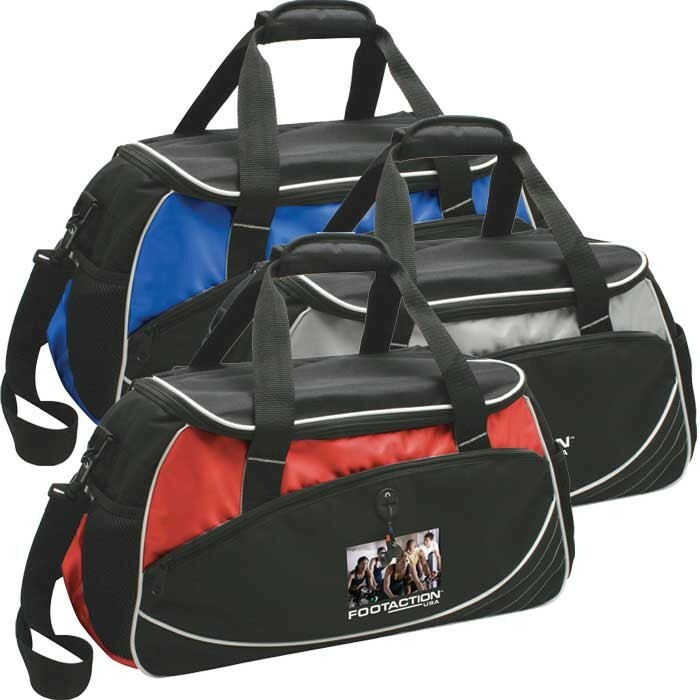 • Product Measurement - 11" x 20" x 9 1/4"
• Imprint Dimension - 3" x 9"